Calculating the RoI (Return on Investment) on a rental property can be a bit more complex than it first appears. In the most simple view, if you purchase a property for $100,000 and rent it for $700/mo, your gross annual income from the property is $8,400 ($700 * 12) and your RoI is 8.4%/yr. The first thing to complicate the equation are expenses. This includes property maintenance, property taxes, insurance, and the costs associated with renting a property. If you add $1,000yr for maintenance, $1,000/yr for property taxes, $500/yr for insurance, and $100/yr to advertise for new tenants, your net income drops to $5,800 and your RoI falls to 5.8%/yr. It becomes more complicated if you owe a mortgage on the property. The mortgage payment obviously reduces your net income, but it also reduces your investment. If you owe $50k on the property, your Investment drops to $50k. Your mortgage payment will reduce your net income by $300/mo, down to $2,200/yr. Your RoI is now 4.4%/yr. In markets were real estate prices are low and rental prices are high (often due to poor credit conditions), it is possible to make excellent returns by using a good credit rating to leverage yourself into a larger number of properties. However, this also significantly increases your risk. If property values fall, you can easily end up owing more money than your properties are worth. Leverage is the best way, and the most dangerous way, to make money in real estate. As the old saw goes, real estate is the only thing they are not making any more of. Over a long enough time frame, real estate should always rise in value. In the shorter timeframes in which we live and invest, real estate only sometimes rises in value. When considering RoI for rental properties, it is best not to count on the value of your properties rising — they could also fall. The real reason not to consider the increased value of your properties as income though is that these profits are not realized until you sell. As a real estate investor, the only time you should be considering selling is when you need cash to purchase a new property. Imagine that you bought the property we have been using as our example for $100k in cash and sold it ten years later for $150k. Over ten years, your rental income has been $58,000 and you earned an additional $50k from the sale. Your RoI has now been 10.8%/yr. Very nice, but I wouldn’t count on it happening. The US government allows some taxpayers to depreciate the costs of some properties. If you are one of the approximately one-third of Americans who pays taxes and one of the few taxpayers who are not afflicted with the AMT (Alternative Minimum Tax), the deduction for depreciation can considerably affect your profit and loss from a rental property. The rules for depreciating rental properties are extremely complex and rapidly changing. 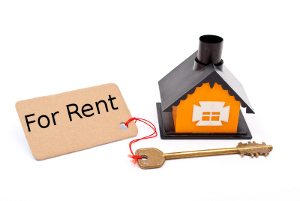 For the most accurate information, refer to IRS Publication 527: Residential Rental Property. The “Real” RoI becomes far more difficult to calculate when you consider that rental prices rise (or fall) over time and that your properties occupancy rate is very unlikely to be 100%. Factoring in the costs of the amazing variety of taxes which city, county, state, and national governments assess can make the true RoI incalculable. For most purposes, however, RoI calculations are used just to give us a rough estimate to compare various investment options.